The prints are in a lustre finish and are adhered to the page leaving a small black border around the edges with a visual break in the spine area. The album has a magnetic gatefold which can be etched for an extra £20. There is also a small cameo aperture on the front for your favourite image. There are 20 spreads giving 40 pages. 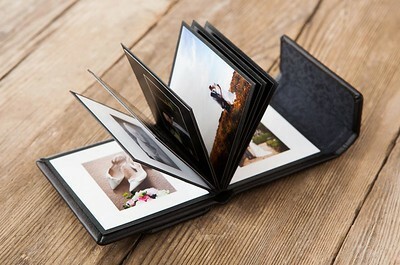 The Bellissimo Perfetto offers a ‘simply perfect’ seamless spread for your images across the spine area of your album. 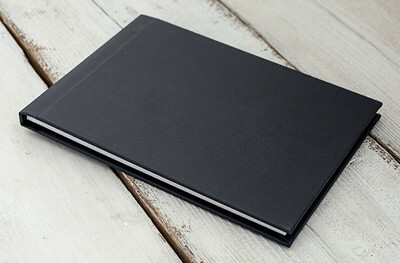 It comes with a black leatherette or photo front cover. There are 20 spreads giving 40 pages. The pages are flush mounted edge-to-edge, using traditional photographic paper and in a vibrant lustre finish. A mini version of your main album, the Bellissimo Mini comes in 4.25” × 4.25" for the Artemis and 3.75” x 5.25” for the Perfetto. These are perfect gifts for Parents and Grandparents. The downscale albums will have the same pictures and layout as your main album just smaller in size. 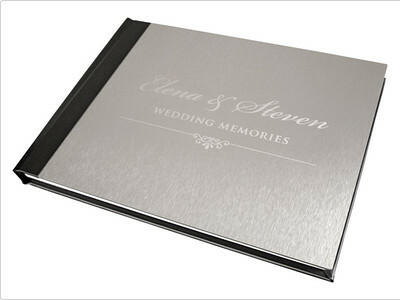 Add the text foiling of your choice to the front of all the mini albums at no extra cost. The mini downscale albums must be ordered the same time as you main album. A perfect complement to your main album, the Bellissimo Artemis Mini comes in 3 × 3". There are 7 spreads giving 14 pages and the prints are in a lustre finish. Please note, the mini albums will only hold approx. 30-60 images and designed differently to your main album. The Bellissimo Artemis Mini albums can be ordered on their own without a main album order. Two mini versions of your main album, the Bellissimo Memento comes in 6”×6" for the Artemis and 7” x 5” for the Perfetto. The downscale albums will have the same pictures and layout as your main album just smaller in size. 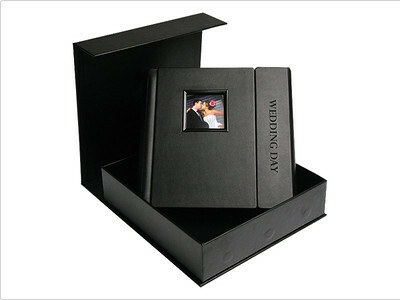 Pick a leatherette cover in a range of colours to compliment your main album. The Memento downscale albums must be ordered the same time as you main album and are press printed. The Bellissimo Pro is photographically printed and comes in 8” × 8" for the Artemis and 10” x 7” for the Perfetto. The downscale album will have the same pictures and layout as your main album just smaller in size. Pick a leatherette cover in a range of colours to compliment your main album. This album must be ordered at the same time as you main album. 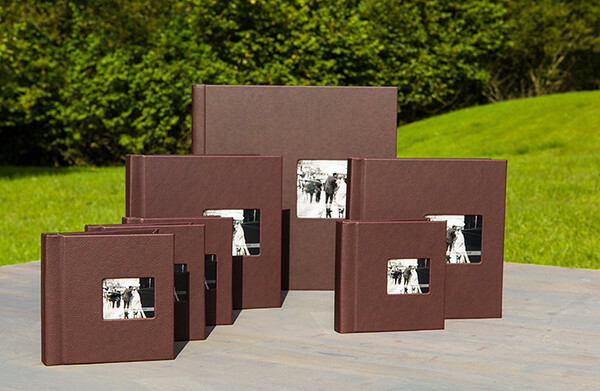 The Bellissimo Perfetto bundle comes with a total of 7 albums and perfect for gifts. All 7 albums include the same images. The smaller albums are a scaled version of the 14” x 10” main album. 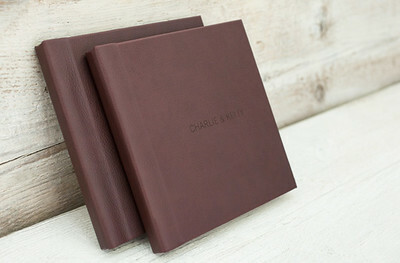 The Perfetto bundle offers a ‘simply perfect’ seamless spread for your images across the spine area of your album. 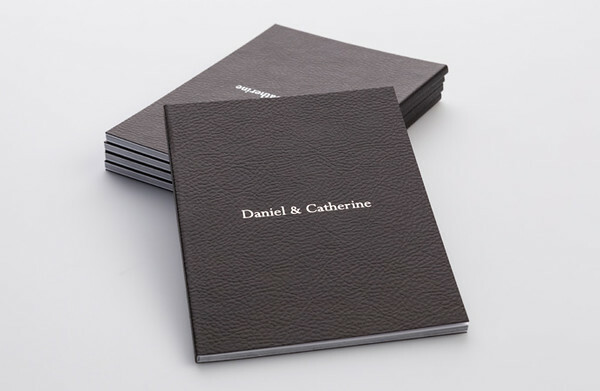 There are a range of leatherette colours to choose from with an acrylic cameo cover. There are 20 spreads giving 40 pages. The pages are flush mounted edge-to-edge, using traditional photographic paper and in a vibrant lustre finish.